Beautiful professional cello by Alfred Lamy - made ca 1895. 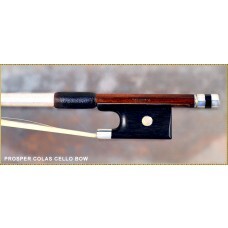 Joseph Alfred Lamy père is one of the most important masters of modern French bow makers. 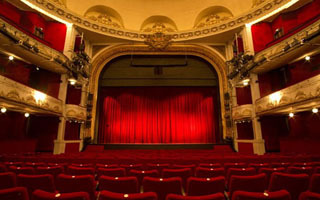 to 1885 for François Nicolas Voirin in Paris. he joined Gautrot's workshop in Château Thierry, where he met François Nicolas Voirin. In 1876, he came to Paris to work with François Nicolas Voirin, whose assistant he had become. 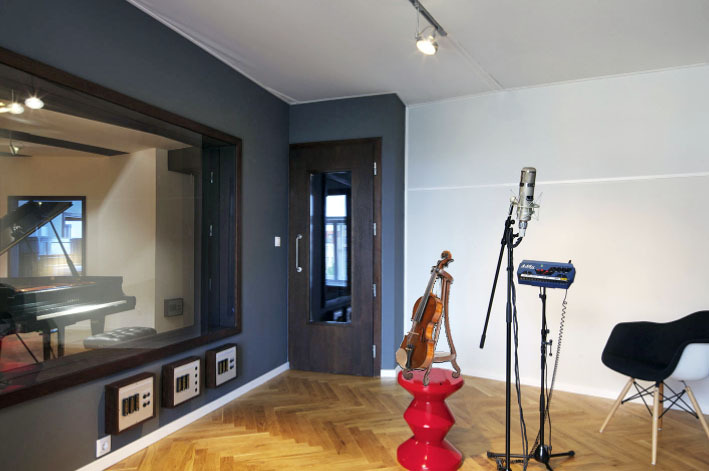 In 1885, at the death of François Nicolas Voirin, he started his own workshop. He won the silver and gold Medals at the Paris Exposition in 1889. 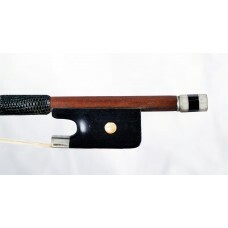 The beautiful octogonal stick is made of the finest brownisch/red pernambuco wood. The length of the stick is around 69.1 cm (4/4 size) and the weight of the bow is ca 78 gr. Silver mounted frog (Vuillaume model), with pearl eyes andoriginal silver adjuster. 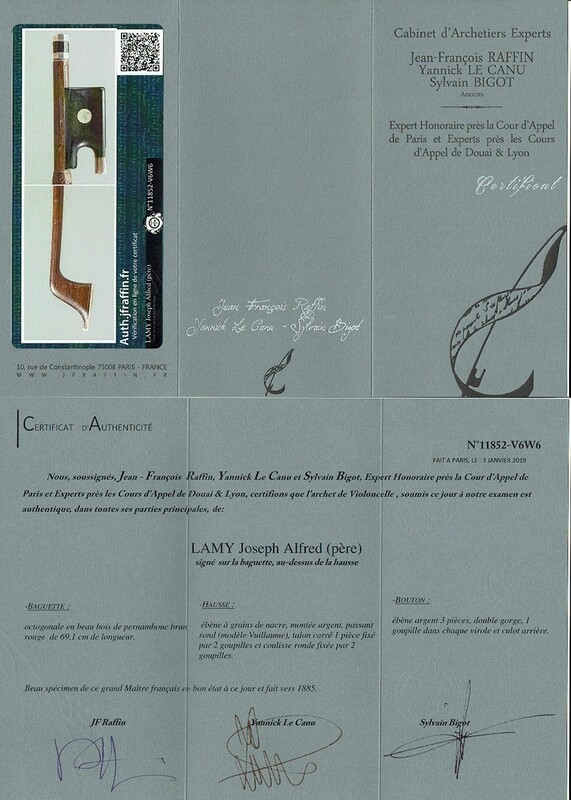 Joseph Alfred Lamy is one of the most important masters of modern French bow makers. in 1862 with Charles Claude Nicolas Husson. at the death of François Nicolas Voirin, he started his own workshop. He won the silver and gold Medals at the Paris Exposition in 1889. 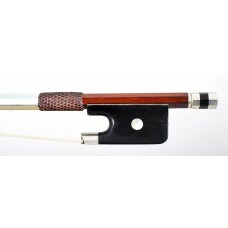 Is's a very fine cello bow;never played a JOSEPH ALFRED LAMY bow before.